This long-sleeved gown features an illusion bateau neckline and sharp sweetheart bodice. 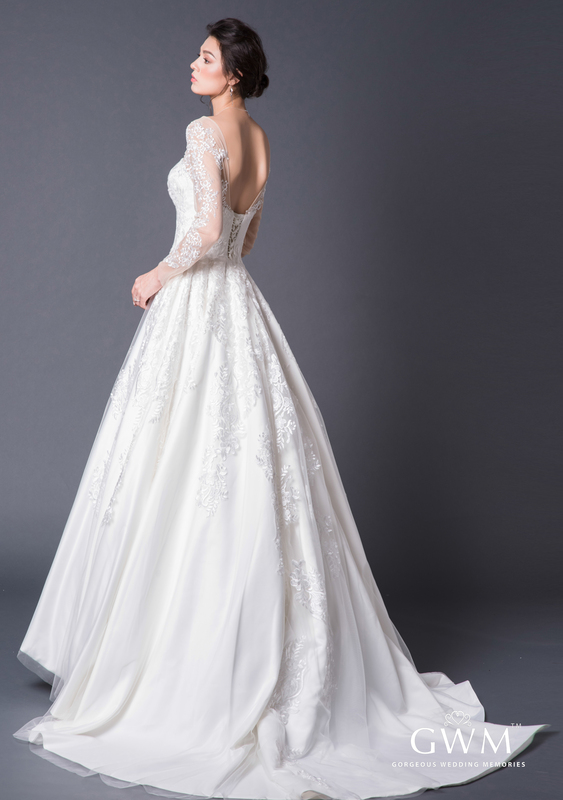 The A-line skirt is embroidered with ivory lace which peters out down the skirt. 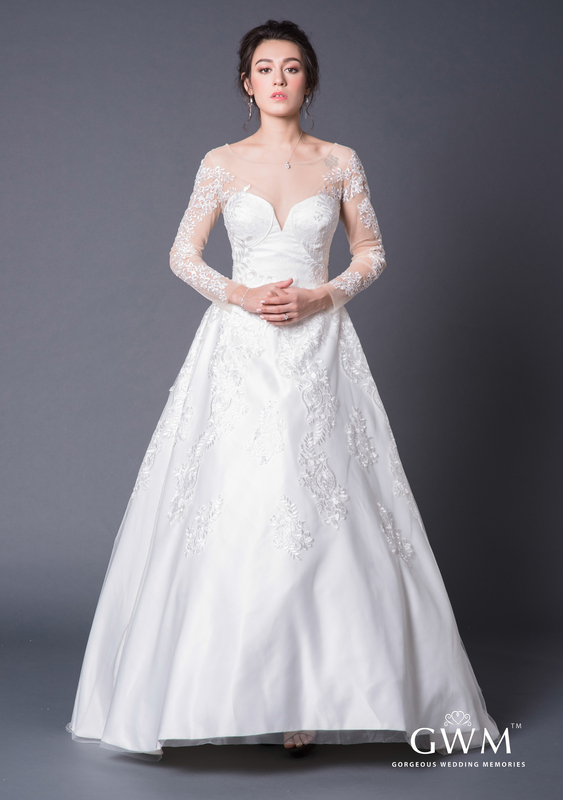 This gown features an elegant low and corset back.